The 8th World Congress on Engineering Asset Management (WCEAM 2013) was held in conjunction with the 3rd International Conference on Utility Management & Safety (ICUMAS) at the Hong Kong Exhibition and Convention Centre from 30 October -1 November 2013. This year’s congress was jointly hosted by the International Society of Engineering Asset Management (ISEAM), Department of Systems Engineering and Engineering Management of the City University of Hong Kong (CityU), the Community and Construction Professionals’ Development Centre (CCPDC), the Centre for System Informatics and Quality Engineering (CSIE) and the Smart Engineering Asset Management Laboratory (SEAM) of CityU, and the Hong Kong Institute of Utility Specialists (HKIUS). The joint event attracted 395 registered participants comprising academics, government officials, industrial practitioners and scientists from 35 countries. The event opened and closed with special guests of honour. Mr. Chi-sing Wai, Permanent Secretary (Works) of the Development Bureau, The Hong Kong SAR Government and Professor Way Kuo, President & University Distinguished Professor of the CityU opened the conference while Mr. Wai-kwok Lo, Member (Functional Constituency – Engineering of the Legislative Council, The Hong Kong SAR government) addressed the audience at the closing ceremony. Over 190 full papers were submitted and 173 papers were presented during the three days of the conference. In addition, the congress also featured 30 esteemed academicians and senior industrialists as the opening, closing and keynote speakers. An industrial forum for Engineering Asset Management practitioners to share their experiences in implementing and obtaining conformance with the British Standards Specification PAS 55 on asset management attracted considerable interest. In the last decade, Engineering Asset Management (EAM) has continued to evolve into a new professional practice.  Through WCEAM we all continuously seek to share the advances in the research and application of this transdiscipline comprising fields such as Management, Finance, Information and Communication Technologies, and Engineering as applied to managing physical assets. Too much of the developed world’s infrastructure and major assets have historically been managed in a somewhat haphazard, reactive, or purely operational way. The absence of a truly strategic, integrated approach to asset management has left many societies now facing challenges of ageing national infrastructure; under-investment in its maintenance; and a huge gap in addressing the associated climate and sustainability issues. As its investment in new infrastructure surges, the Asian economies including that of Hong Kong has the serendipitous opportunity to implement planning measures that address asset management issues in the early stages of urban development. Typically, the term ‘asset management’ conjures up a range of understanding. From the management of financial (as opposed to physical) assets, to facility management, maintenance management, management of mobile fleets, and simply keeping an asset running, asset management has broad application. In recent years, the study of a fully integrated and highly strategic approach to infrastructure and engineering asset management has emerged as an area of research and development. In this internationally recognised field, asset management is regarded as the process of organising, planning and controlling the acquisition, care, refurbishment, and disposal of infrastructure and engineering assets. So much more than just keeping the trains running or coordinating spare parts warehousing and logistics, this emergent field takes a whole-of-life approach to managing all aspects of all assets across an enterprise, with the objective of optimising service delivery potential, minimising cost and risk; and ensuring positive enhancement of natural and social capital over the life of an asset. Adopting such a view of asset management and implementing an integrated, strategic, approach that utilises technology borne of this emergent research and development would significantly reduce ongoing costs, optimise performance, extend the lifespan and increase the sustainability of the asset base of any enterprise – or nation. Additionally, through the industrial forum the theme “Towards Certification” was also featured as conformance with international standards in asset management is growing in significance around the world. It is likely that when a service provider company wishes to bid for providing public services in the country, the company may need to conform to an EAM standard. Such conformance/certification of EAM has become more than obligatory in a number of countries. Large enterprises are able to hire international EAM consultancy firms to guide them to obtain the required certification. Moreover in Hong Kong, companies such CLP Power Ltd., MTR Corp., the Hong Kong and China Gas Company Ltd., have already obtained the EAM certification in recent years through PAS 55. However, small and medium enterprises (SMEs) in Hong Kong cannot afford to hire EAM consultancy companies to guide them. Nearly all enterprises in China do not have much experience in practicing EAM let alone the knowledge to obtain certification. Hence, the congress provided the opportunity to bridge these gaps so that SME owners could learn and share their experience with world experts in EAM as well as certified public utility enterprises. Since EAM is an emerging management technology, the conference provided a convenient and affordable platform in EAM knowledge exchange and experience sharing. The paper presentations, socials and dinners were of an excellent standard. This year’s event also provided the International Society of Engineering Asset Management (ISEAM) with the opportunity to present its 2nd Lifetime Achievement award to Professor Emeritus Andrew K.S. Jardine of the University of Toronto in Canada. Professor Jardine is Director of the Centre for Maintenance Optimization and Reliability Engineering. He is also Professor Emeritus in the University’s Department of Mechanical and Industrial Engineering. ISEAM Lifetime Achievement awards are awarded for exceptional dedication and contribution to advancing the field of Engineering Asset Management. We gratefully acknowledge the support of Platinum Sponsor ESRI as well as the following sponsors: Construction Industry Council, – UE Systems Inc, Hong Kong Electric, The Hong Kong and China Gas Company Limited (Towngas), and the K.C. Wong Education Foundation.